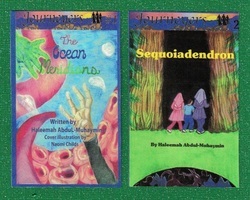 Haleemah Muhaymin is a children's slipstream fictional writer. She has written and published six chapter books in two series and has written short stories and poetry for the MWWWI's annual folio. Haleemah began writing in her teens but she wasn't serious about her writing until much later when she began writing again and published her first book in 2006. 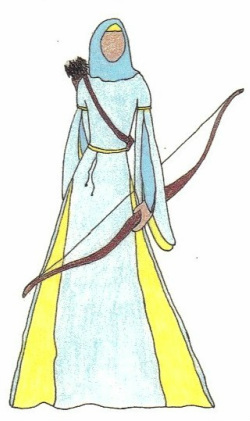 Not only is Haleemah a writer but also a doll maker, and a fitness and archery instructor. Haleemah was born in Newark, New Jersey and is a graduate of Upsala College with a bachelor's degree in fine arts. Later, she pursued a career in the fitness world getting her certificate as a Group Fitness Instructor followed by fitness specialty certifications in Insanity, Poundfit, PiYo, and Cize. For the past year Haleemah squeezed into her already busy schedule a writing course, "Write Story Books for Children," to enhance her skill in writing for children. She belongs to the Muslim Women Writers Workshop International (MWWWI). 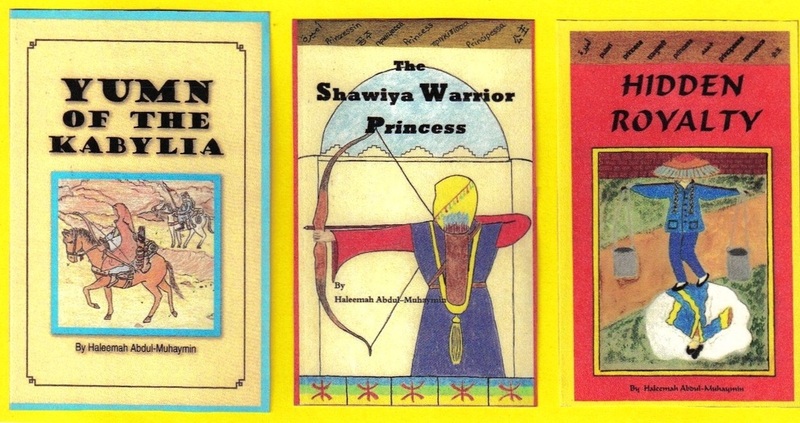 In 2006, Haleemah published her first book in The Princess series, 'Yumn of the Kabilya,' which led to the sequel, 'The Shawiya Warrior Princess,' and then a third book, 'Hidden Royalty.' In her second series, The Journeyers, she published, 'The Ocean Meridians,' 'Sequoiadendron,' and the 'Amazon Rain Dragon.' She has published short stories and poems for the MWWWI annual folio: Life is a Journey 2010, Tapestry of Dreams 2011, Lawful Pleasures 2012, Haiku: Signature Impressions 2013, and Short Story Scenarios, 2015, She is currently working on two books on for each of the series. Her travels have taken her to Saudi Arabia, Hawaii, Canada, Egypt, Morocco, and Syria and many parts of the United States. Haleemah enjoys reading, arts and crafts, doll crafting, sewing, and keeping fit with exercise swimming and archery. She is a wife, and mother of four and lives with her family in Maryland. 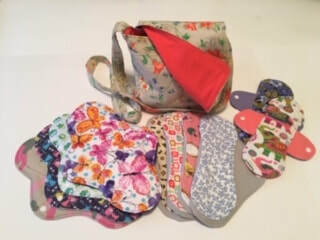 SEE the below for Haleemah's latest venture: EMPOWERED GIRLS!